Indian Airlines (also known as Indian) is a national airline carrier of India and is wholly owned by the government. Being one of the largest regional airlines in Asia, Indian plays an strategic role Indian aviation field and flies to over 63 domestic and 16 international destinations. 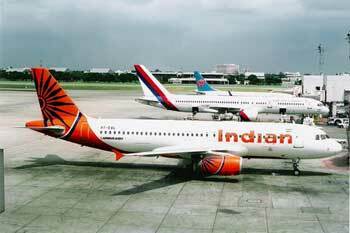 The subsidiary airline of Indian is Alliance Air. 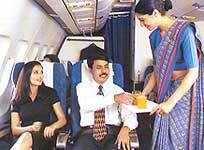 In terms of passengers carried, Indian Airlines has a total of over 7.5 million passengers carried annually. The fleet includes 11 Airbus A300, 30 Airbus A320 and 11 Boeing 737 aircrafts. The airline is one of the first few big organisations in entire India to have implemented a comprehensive computerised network to handle both reservations and ticketing. It comes to no surprise as Indian Airlines has always been setting the standards for civil aviation since its beginning. 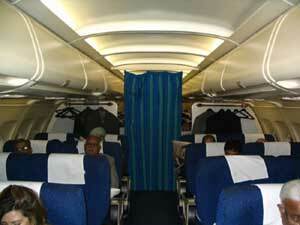 The main bases operated by Indian Airlines include the major metro cities of Delhi, Mumbai, Calcutta and Chennai. Indian Airlines offers users an interactive online facility which caters to flight services such as Passenger Reservation, Ticketing, Message Switching, and Fare Display. As an additional feature to the Reservation System, there is an interactive voice recording system integrated into it to provide flight information details. Through the Delhi indbound call centres ando ther major cities call centres, Indian is very accessible to customers. The toll free number (1800 180 1407) can be reached anywhere in India. Other services such as arrival-departure information, reservations, promotional schemes, tele check-in, and telephonic booking (Dial-a-Ticket) are available via fliers and travel agents. Indian Airlines has a well estalished image as the country's premier airline and its passengers can enjoy varied delicacies prepared from each region of India and around the world. Every 3 months, a new meal menu will be introduced. All the menus are planned in advance in line with the flight timing. Other factors also include meal nutrition values, latest catering trends and most importantly, passengers feedback on the quality itself.